SAYPOINT.NET: Showing small font size in Browser : Correction. Showing small font size in Browser : Correction. You facing problem while reading your web site due to small size font appearing on it. It happen due to font setting has changed. Here is the correction of this problem. 1. Correcting zoom view of Browser window. Go to View > Zoom option on Menu Bar. Select 100% option. (or what ever you want) as shown in photo below. 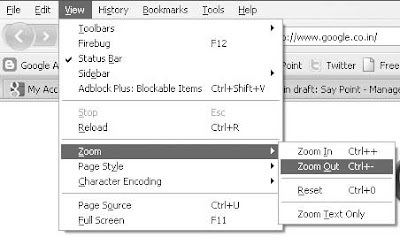 Alternatively short cut for increasing Zoom is “Ctrl” + “+” (press both at same time). 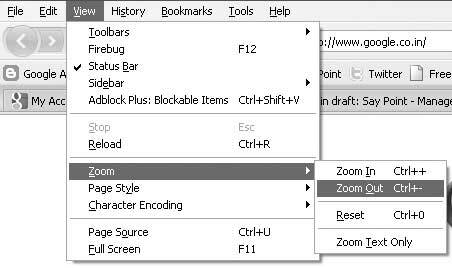 For decreasing Zoom is “Ctrl” + “-” . Also it can be adjusted from "Ctrl"+"Mouse Roller". 2. If you still find difficulty in viewing fonts, then follow these steps. Go to Tools > Options from menu bar. Go to Content tab in Options window. Change the required font size. Photo showing below. 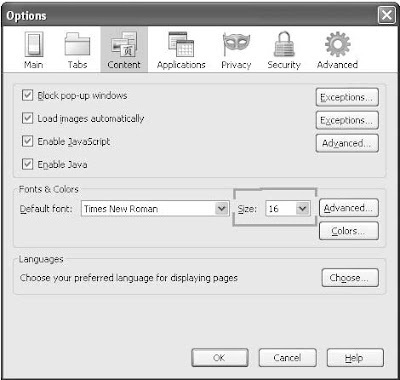 This will affect the font appearance of all site opening in Browser. 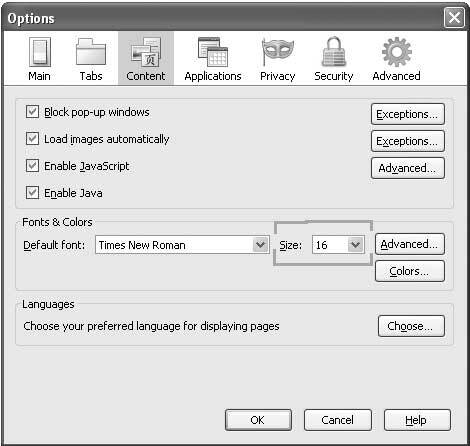 Setting procedure is almost same for all browsers with some minor variation.